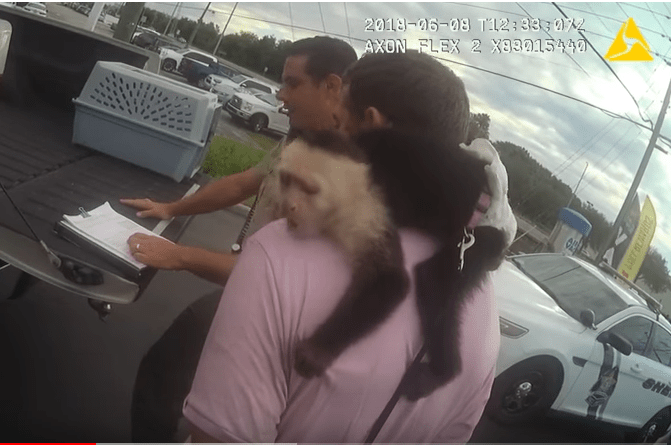 The Capuchin monkey was turned over to Florida Fish and Wildlife officers. 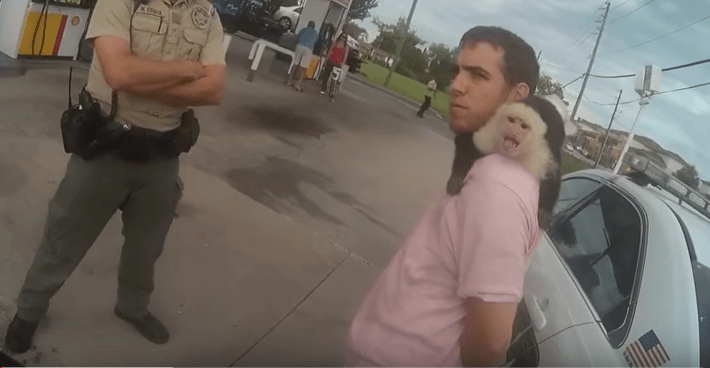 HOLIDAY – Sheriff’s deputies said they got a surprise when they arrested a man suspected of crashing a stolen vehicle – he had a monkey with him. 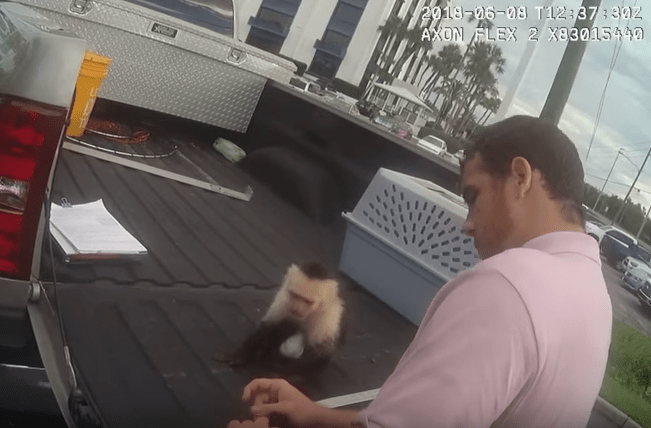 The Capuchin monkey was turned over to the Florida Fish and Wildlife Conservation Commission officers who took it to the Suncoast Primate Sanctuary. 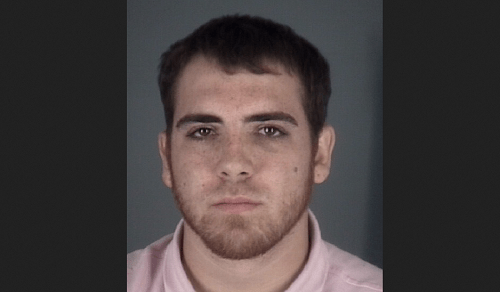 He did not have a permit for the animal, according to the Pasco County Sheriff’s Office. Cody Blake Hession, 23, of Holly Hill, was charged with one count of auto theft, a felony. 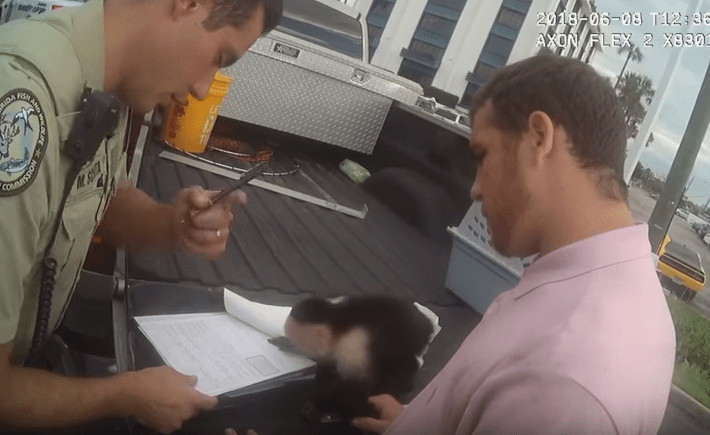 He was also charged with one count each of personal possession of wildlife without a permit and violating an FWC rule or order regarding captive wildlife, both misdemeanors. Deputies said the vehicle was stolen from a driveway in St. Petersburg. The owner had left the keys on the floorboard of the unlocked vehicle and Hession did not have permission to take it. Hession took the vehicle to Holiday where deputies said he drove off the edge of a parking lot and into a ditch. Deputies said Hession first denied being the driver but later said the owner handed him the keys and he drove a woman home from Pinellas County. He denied stealing the vehicle. For a video showing the monkey being turned over to an FWC officer, go to youtube.com. 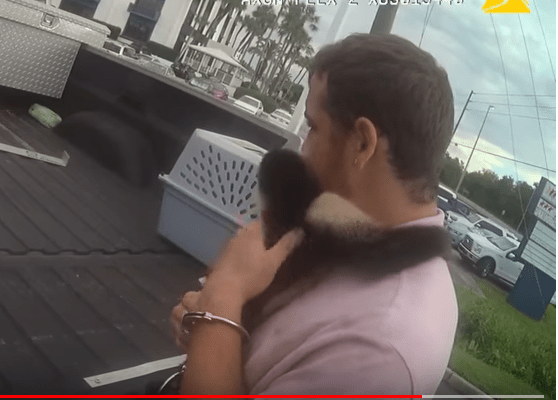 Photos showing Capuchin monkey are screen captures from the video, which is courtesy of the Pasco County Sheriff’s Office.